Will You Need Them in Paris? 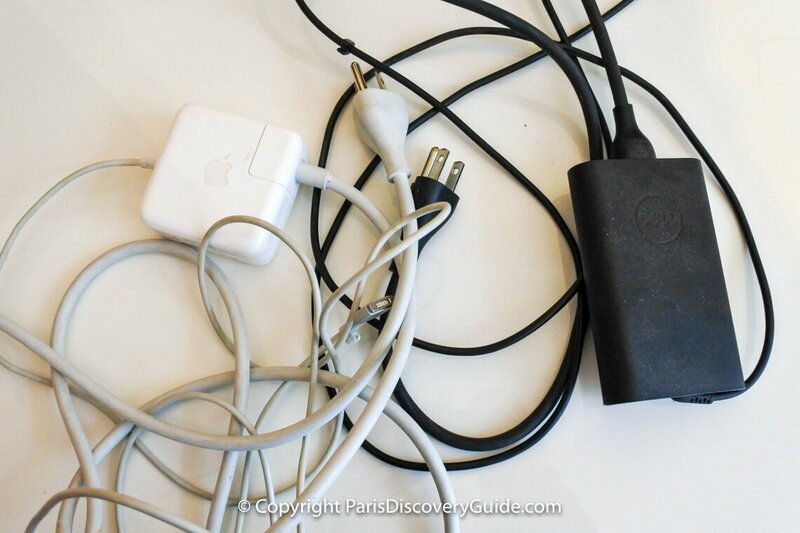 Do You Need to Bring an Adapter or Converter to Paris? Or Both? 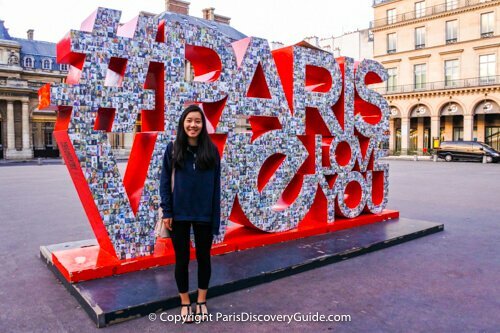 Should you bring an electric plug adapter or power voltage converter on your trip to Paris? A plug adapter lets you insert electric plugs from your country into wall sockets in the country you're visiting. For example, if you live in the U.S. where electric plugs have two flat blade prongs and you visit Paris or anywhere else in France, you'll discover electrical sockets with one round prong and holes for two round prongs. An electric power converter (sometimes called a transformer or voltage converter) lets you use an electrical device designed for 110-127 volts in a country with 220-240V electricity - and vice-versa. 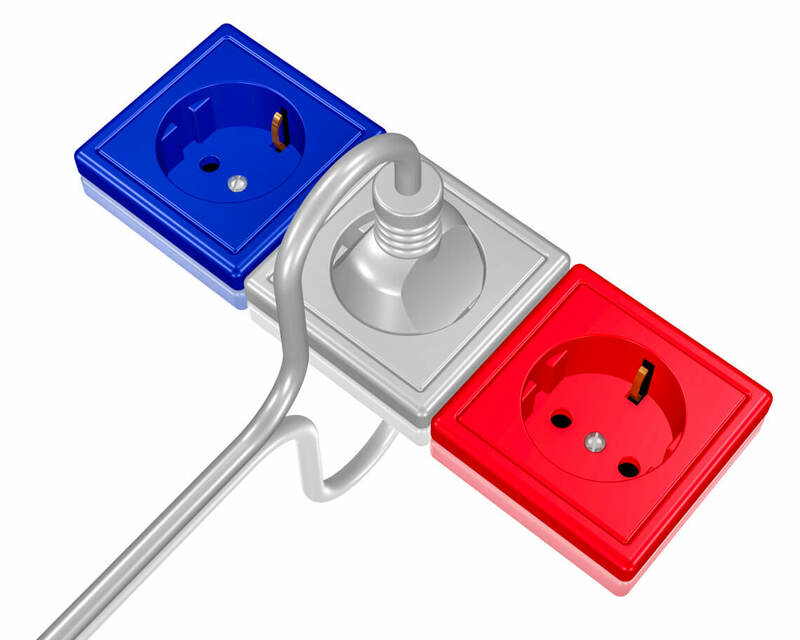 If you're planning to charge or use your mobile phone, electric shaver, hair dryer, laptop, or other electrical device by plugging it into an electrical outlet and are traveling to Paris from the U.S., Canada, Australia, China, Japan, or any other country where electric plugs and outlets differ from those used in France, then yes, you will need a plug adapter. Fortunately, they're cheap, light to carry, and easy to use - although not always easy to find if you wait until you're in Paris to get one. If you live in a country with 100-127V electrical power such as the US, Canada, Japan, or a few other places in the Caribbean, South America, and Asia/South Pacific, you may also need an electric power converter when you travel to Paris (230V) or elsewhere in France (or most other places in the world), depending on the specific devices you plan to bring. Fortunately, most modern electronic devices such as laptops, phone chargers, and tables such as iPads run on either voltage thanks to built-in voltage converters/transformers, while others such as hair dryers, hair straighteners, heating pads, and shavers may have dual voltage switches for you to set manually. For any remaining devices, a couple of strategies can help you avoid the expense of buying a converter and carrying the extra weight of this relatively heavy device in your suitcase. Don't worry. We'll walk you through everything you need to know about why to bring an adapter (or two) with you on your trip to Paris, where to buy the best type for French electric power, how to determine if you need to bring a converter (including a couple of options for avoiding buying one), and what features to look for in a converter if you really do need to buy one. Why Do I Need to Bring an Electric Plug Adapter to Paris? With 14 different types of plugs and sockets in use around the world, you'll need an adapter to connect to electric power whenever you visit a country where the plug/socket shapes differ from those where you live. 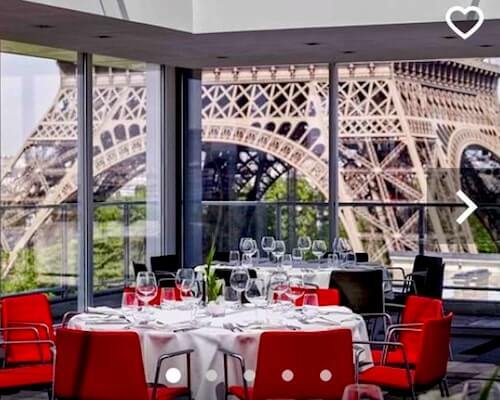 Although "universal" sockets designed to accommodate plugs from multiple companies do exist, relatively few Paris hotels have them - so in most places, you'll need an adapter. 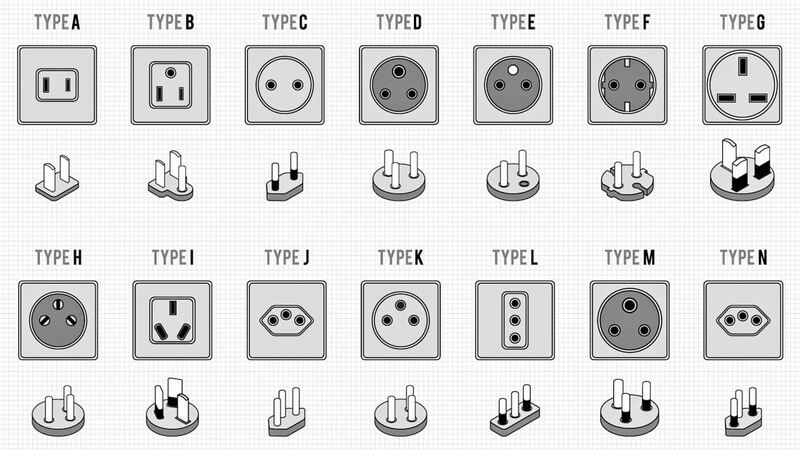 If you're also visiting other countries with different plug/socket types, you may need additional adapters. If you want to charge or plug in more than one device at a time, consider bringing two or more adapters. You can also buy adapters with more than one socket and with USB ports to connect phones, tables, and other electronic devices. Some adapters provide only USB ports and no plug sockets - so think about what you'll really need based on the devices you're bringing. For example, laptops usually require an adapter with a socket. Will My Paris Hotel or Apartment Provide Plug Adapters? 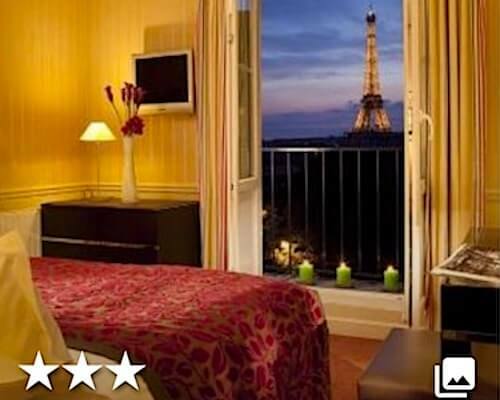 Many Paris hotels do loan adapters to their guests, especially if you're staying in a 3-star or higher hotel. If you're staying at a 5-star hotel, you can feel assured your hotel will provide the type of adapter you need - although it never hurts to touch base with them before you arrive just to let them know what your needs will be. However . . . you can't always count on your hotel having an adapter for your plug/socket type available. On average, apartments are even less likely to provide adapters. You are always wise to bring your own adapters in order to avoid the hassle of not having one when you need it, or worse, trying to buy one locally. Where Can I Buy Plug Adapters for My Trip to Paris, France? The easiest way to find the type of adapter you need is to shop online. For example, if you live in the US or Canada and plan to visit Paris, you need an adapter with sockets to fit Type A/B plugs and prongs to connect to the Type C/E sockets used in France. Amazon usually has a good selection. 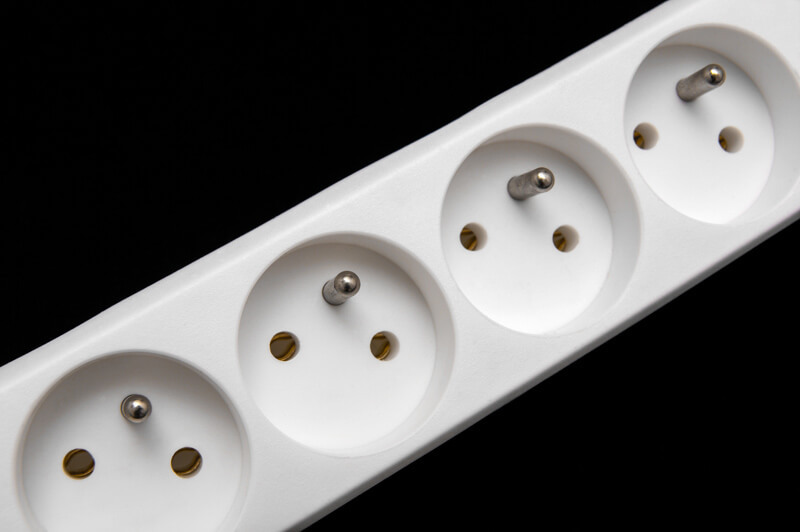 US Plugs: A Type A plug has only 2 flat prongs and is ungrounded, while a Type B plug has the same two flat prongs plus a round prong and is grounded. If you're bringing devices with Type B plugs, buy an adapter with a socket for Type B plugs, because Type A plugs will also fit. French Sockets: A Type C socket has 2 round holes to accept a plug with 2 round prongs, and is ungrounded. A Type E socket has 2 round holes (like Type C) but also has a round prong, and is ungrounded. Type E sockets will accept ungrounded 2-prong Type C plugs, which have rounded or pointed ends like the one in the diagram above, as well as 2-prong 1-hole Type E plugs. Although you can buy Type A to Type C adapters, always be sure the ends are rounded or pointed rather than square. Modern French sockets are recessed (you can see this in the above diagram) and square-ended adapters will not usually fit into them. If you see square-ended adapters labeled for use in "Europe," they will work in some European countries but possibly not in France. So before you buy an adapter, make sure its packaging states it will work in France. You can also buy a "universal" adapter - but make sure its labeling states it will work in the countries you plan to visit. By definition, "universal" should mean it will work everywhere . . . but that's not always true. Where Can I Buy Plug Adapters in Paris? Large Paris electronic stores such as Fnac (74 Avenue des Champs-Elysees, 75008 and several other locations), neighborhood hardware stores such as Mr Bricolage and Castorama (many locations across Paris), and even the hardware section in the basement of the large BHV department store (55 Rue de la Verrerie, 75004) in the Marais usually sell adapters. However . 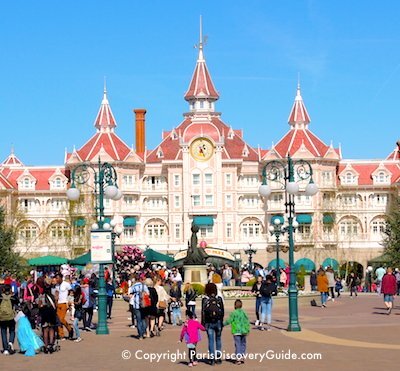 . . most of the adapters you find will be for French residents planning to travel to other countries, and therefore the opposite of what you need. So be smart: bring adapters with you. You don't want to spend your time in Paris shopping in hardware stores for something you could have easily have bought at before leaving home. Why Do I Need to Bring a Converter to Paris? Good news - you may not need to, depending on what you're bringing, even if you live in a country with 100-127 volt electricity. Virtually all modern electronics such as laptops, tablets, and mobile phone chargers have auto-switching voltage converter/transformers (often called "power adapters") built into their power supply or charger. As long as you have an adapter to let you plug into a local electric outlet, you should be fine. But if in doubt, check on the bottom of your charger. You should see tiny print stating something similar to "Input: 100-240v 50/60/hz." Other Electric Devices - Shavers, Hair Driers, Curling Irons, Heating Pads - Dual Voltage? First, virtually all 3-star and higher Paris hotels have hair dryers for you to use during your stay, so no need to bring one. Many apartments also have them. If you're staying at a 1- or 2-star hotel (or a really cheap apartment), check to make sure a hair dryer will be available. For all other devices you plan to bring, you will need to check the device's voltage. If you can pull up specs for the exact model on the internet or find it in the user's manual, that's usually easiest and quickest. Otherwise, look for tiny type somewhere on the device - usually the bottom or plug - where you'll find the input voltage. If you see dual voltage listed, check to see if there's a switch where you must change it manually - for example, from 110v to 220v. If so, make a note on your trip check list to flip the voltage switch when you pack for your trip, and when you pack to leave Paris. 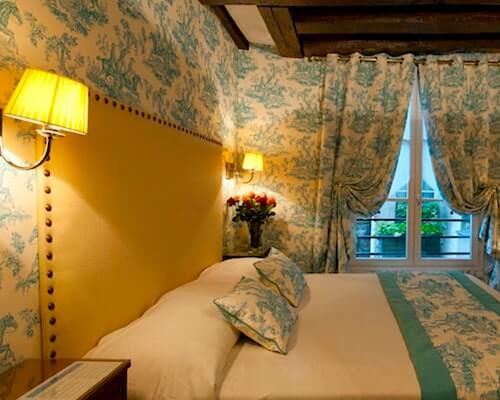 If you wait until you arrive in Paris or return home, the fog of jet lag may cause you to forget to do it. Plugging a 110v hairdryer into a 220v outlet will fry it fairly quickly. Bottom line: as long as your device has dual voltage and you remember to switch it manually if necessary, you don't need to get a converter. If you're planning to bring something that is not dual voltage, then you have three choices: you can either replace it with a similar dual voltage model, leave it at home, or buy and bring a converter/transformer. Assuming you can't do without whatever the device is, the easier option is to buy and bring a dual voltage model. Especially if your device is more than 2-3 year old, you may need to replace it soon anyway - so do it now, and avoid the cost of a converter, not to speak of the extra weight in your bag. If you do decide to buy a converter and if you are going to use it with a high-wattage device - anything that uses 1200 watts or more such as a hair dryer, curling iron, or heating pad - you need to make sure it can handle the load. Generally, that means buying a converter listed as "dual wattage" or with a high-wattage setting as high or higher than the device you're bringing. For a 1,800 watt hairdryer, you'd need a converter with 1,800+ watt capacity. "Buyer Beware" Tip: Inexpensive converters can usually handle only 200 watts. Finally, make sure the converter you buy either has a built-in plug adapter of the type you need - or remember to bring one with you.